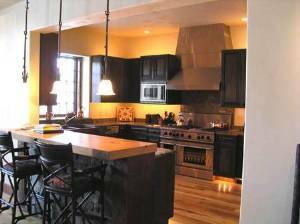 PLEASE ASK FOR "COWBOY CONDO - UNIT B" WHEN MAKING RESERVATIONS! 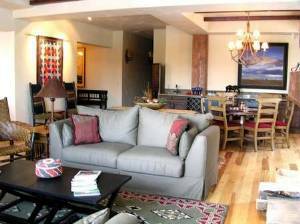 Our luxury condominium, a ski in - ski out, penthouse style suite, offers you the absolute best in vacation accommodations! Located only 45 miles from the Bozeman airport and Yellowstone National Park, Moonlight Basin offers premier skiing in the heart of the Montana's world-class mountains. Moonlight Basin also connects to Big Sky's chairlift, offering skiers unique access to both the Big Sky and Moonlight Basin resorts! Nearby you can fly fish on the Madison, Gallitin, and Yellowstone rivers, enjoy golf, mountain biking, hiking, white water rafting, horseback riding and more. Enjoy fantastic skiing accommodations as well as a first-rate nature experience. 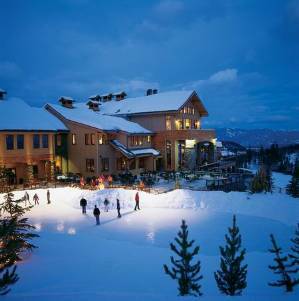 Moonlight Basin, a village in Big Sky, is the newest ski resort in the Rockies! 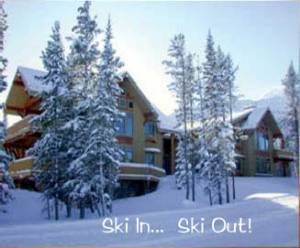 Ski the North Face or to the Moonlight Lodge right from your doorstep! 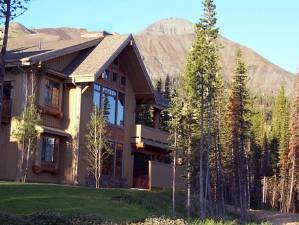 At Moonlight Basin, experience a Montana lifestyle that is truly spectacular. Explore the long groomed runs, gladed tree skiing, open bowls and challenging chutes, winding through some of the most scenic wilderness terrain in Montana. The Big Sky area offers 76 runs and 2000 skiable acres served by five lifts, including Montana’s only high-speed six-person lift. In addition to the skiing, you will enjoy other winter sports such as snowshoeing, cross country skiing, dog sledding, or visit Yellowstone National Park and ‘Old Faithful’. Large Fireplace in Living Room, Private Hot Tub & 2nd Fireplace on Large Deck, Huge Picture Windows w/mountain views, Fully Equiped Gourmet Kitchen Featuring Commercial Grade Stainless Steel Appliances, Ice Maker-Beverage Cooler, Cooking Utensils provided, Washer & Dryer, Master Bath Features Jetted Tub, Steam Shower, & Overhead Rain Shower, Master Bedroom Has Deck, Garage, Under-Counter Wine Chiller, Dining Room Features Buffet with Wet Bar, High speed Internet access. Best Fly Fishing Around, Hiking, Rock Climbing, Horseback riding, Downhill Skiing, Cross Country Skiing, Snowshoeing, Snowmobiling, Sledding and more! 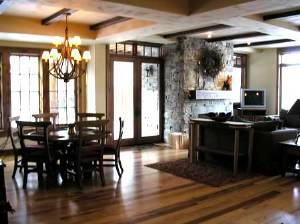 Photo looks out to the deck with its hot tub and 2nd fireplace! Moonlight Lodge & Spa is the place to relax, enjoying a spa treatment, a workout or a soak in the beautiful pool or waterfall hot tub! Call to get Confirm Rates. MUST ASK FOR: COWBOY CONDO "B"
Deposit: $1000, refunded 2 weeks after departure if there is no damage. 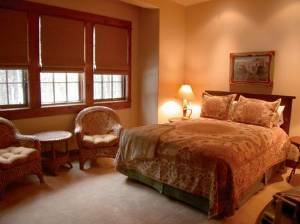 Other Fees: $200 cleaning fee for stays of less than 5 nights.